PA4 structure, SGCC 0.45mm ,USB2.0+ADUIO. Power Supply 550W ,20+4pins,with 12cm ..
PA4 structure, SGCC 0.45mm ,USB2.0+ADUIO,side with window with 8cm blue led fan. 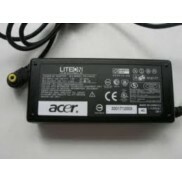 Power Supply 550..
ACCENT-G BASIC CASE: BLACK COLOR, WITH 0,5mm SECC, 2*USB port/Audio at side. Front with 2*USB por..
WITH 0,5mm SECC, 2*USB port/Audio at side. 1394 in front; with 2*USB port. Front panel with Mesh.12..